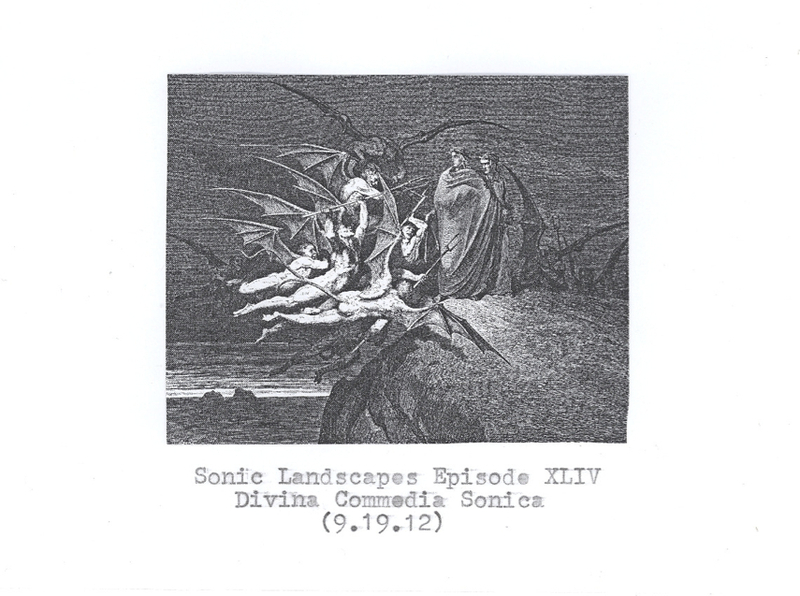 This week, Sonic Landscapes appropriates the structure and content of Dante Alighieri’s incredible work of epic poetry, the Divina Commedia, to construct a 3-part, 100 minute mix unlike anything we’ve done before. Here, the DJ plays the part of Virgil, guiding listeners through the various horrors of the multi-tiered Inferno, then into the spiritual stagnation of Purgatorio and, finally, to the celestial harmony of Paradisio. Each part of the Divina Commedia takes approximately 33 minutes, corresponding to the 33 cantos that form each structural component of the poem. Let’s begin!